The Round Table on Higher Education was inaugurated in 2010 by representatives of German and U.S. educational institutions in order to define and advance the role of liberal arts in the higher educational practices of Europe. Both countries have a unique approach to higher education, whereby American universities cultivate exposure to an assortment of disciplines such as the sciences and humanities, and German universities foster research-oriented study along with teaching. The round table serves to acknowledge these differences whilst tackling an issue that confronts these two systems, that is: how should a university envision its education in lieu of the demands its graduates face? The 8th Round Table was hosted by Bard College Berlin in cooperation with the U.S. Embassy on the 30th of January. 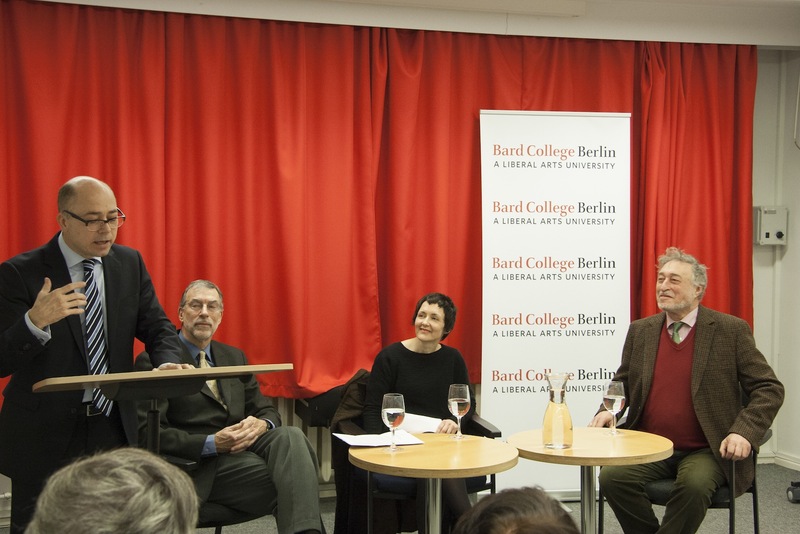 Thomas Rommel, Rector and Provost of Bard College Berlin, commenced the event by quoting the German writer and Salon hostess Rahel Varnhagen, who noted that where disposition of talents divide us, we are united by friendship, understanding, tolerance and true education that go beyond borders. 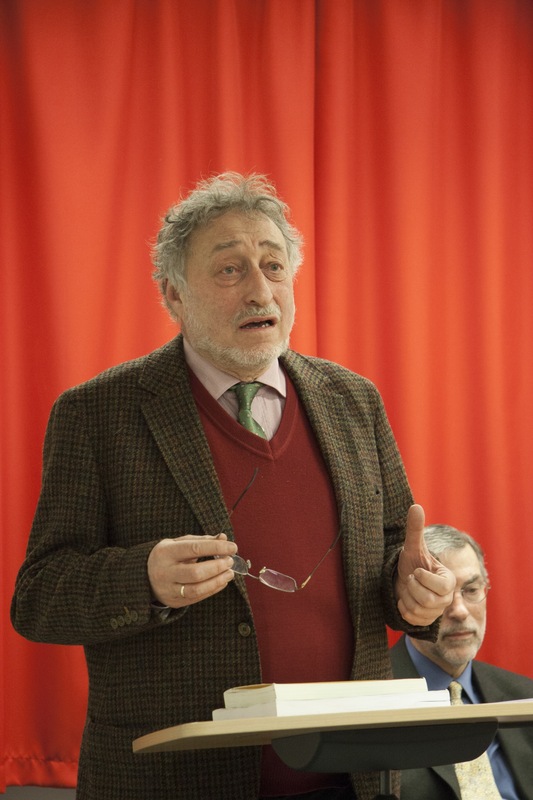 This was fitting for the transcontinental affair of the round table, where both representatives attempted to diagnose the issues they face of contemporary times, in particular the challenges that the labour market puts forth to the universities. The challenges that higher education faces are: how should an education that is geared to the demands of the labour market function? Furthermore, is there room for more humanistic approaches in education that can transcend the material aspects of life? Both challenges tackle the degree of depth to which an individual is confronted with socio-economic concerns. In recent times, such concerns have become the overriding factor in determining what sort of undertakings a university should endeavour towards in educating its students. It is evident that the universities are pronounced with the task of producing a graduate who will be equipped with skills that will satiate the productive demands of the economy. These demands translate into a structural change in a university, turning education from a collective good into a commodified good that is put up for transaction on the global education marketplace. The two invited speakers were Prof. Dr. Geoffrey Galt Harpham, President and Director of the National Humanities Center, USA, and Prof. em. Micha Brumlik, Professor at the Institute for Educational Sciences, Goethe University Frankfurt, and Senior Advisor at Berlin-Brandenburg Center for Jewish Studies. Both speakers underlined the problem of devising an educational framework that produces an individual fit for labour specialization. Dr. Harpham espoused the virtues of a liberal arts education that can go beyond the dream of having a prosperous middle-management career because it can open up one’s capacity for imagination and provide a more enriching life that cannot be accounted materially. This was followed by Prof. Brumlik’s speech on how the Bologna Process has hindered the autonomy of German universities, which in turn have become more business-oriented in their approach and consequently hampered the students’ ability to cultivate independent thinking. Underpinning Dr. Harpham’s argument was the precedence that is given to material prosperity over the acquisition of other qualities that make augment life’s meaningfulness (such as the humanities cultivate). For instance, STEM disciplines (Science, Technology, Engineering, Mathematics), which are fields essential for the securing of financial security and prosperity, become a priority for universities in order that they meet the demands of the employment domain. 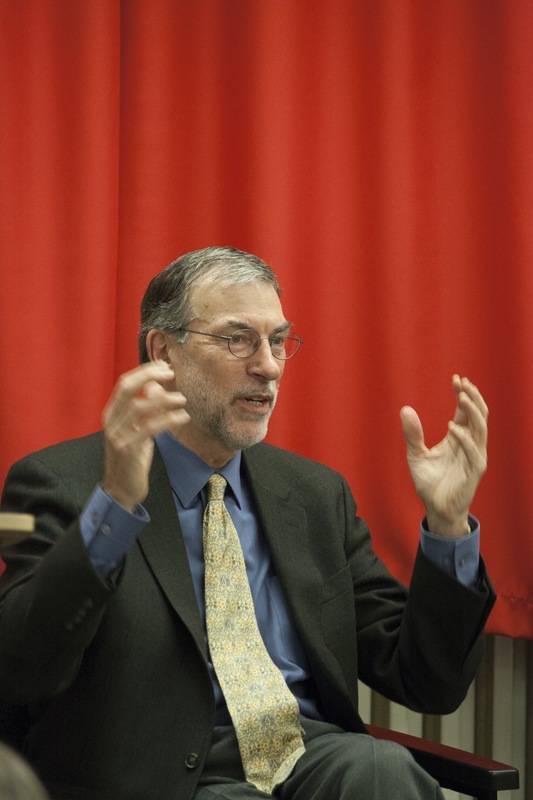 In this context, Dr. Harpham highlighted the lack of an essential component––the humanities. He cited various American businessmen who discern the value of a liberal arts education because it equips a worker with better value judgment skills and an ability to transcend personal situations, thereby improving the intrapersonal relations amongst employees. In addition, on a grander scale, employees with a liberal arts education have an advantage as their abilities enable the facilitation and performance of better business practices and of the company (at hand) in general. In essence, Dr. Harpham’s speech addressed the pragmatic utility of the liberal arts by attempting to bridge the liberal arts with the labour market. Prof. Brumlik’s speech was an analysis of the consequences of the Bologna Process. He acknowledged the utopian vision of the Bologna Process as beautiful on paper but in reality damaging to the autonomy of the student populace. The aim of the process was to standardize the universities across Europe in order to accommodate the trans-national student mobility. The restructuring took place in the form of program modularization, module completion exams and the ECTS system, leading to overt regulations that are justified on the basis of economic and pedagogical efficiency and hassle-free student mobility. As a result of the bureaucratization of European higher education, the autonomy of the universities has been undermined. Furthermore, an exposure to a range of modules stemming from various disciplines leads to producing graduates who lack proficiency in a specific field. This is in contrast to Wilhelm von Humboldt’s vision of the university, as an independent entity that develops its vision of what education ought to be without the state’s intervention and that inculcates expertise in a specific field. Students who face an education that insists on productivity and efficiency only incur unnecessary stress. Furthermore, their capacities for independent and critical thinking are neglected and they become part of the machinations of the university that has in some sense turned into a factory. Comparing the university to a factory implies the peril that higher education faces, namely how it should meet the challenge of sustaining itself on the market. However precarious this may be, the situation has nevertheless been foreseeable. For when there is a lack of funding from government agencies, the university turns to the privatization of financial management. This influences the university to adopt a competitive edge in the market, leading to an increased concern for rankings and reputation. This in turn requires aggressive marketing strategies to enhance the university’s image as an institution capable of producing successful graduates with ready-at-hand employable skills, which drives the university to commercialize its facilities and services so as to justify the increment in tuition fees. Education, instead of being viewed as a social good that is accessible and inclusive to all, is now turned into a commodity that weighs on factors such as its reputation to gauge how much it should cost. Moreover, the commodity of education becomes an illusory product that is filled with tropes such as wealth, success and happiness. And what ever happened to the idea of the human being whose education enables conditions for the flourishing and betterment of the political community? These ideas have long been overturned by the paradigmatic shift in the way the human being is conceived of today. The resulting picture is of a human being who has transformed into a competitive agent and whose success is matched by productivity, accrual of wealth and restless ambition. The competitive zeal becomes a fetishized emblem for today’s students. For instance, students who graduate find themselves in a job market that is plagued with competition. The competitiveness of our contemporary world has led to an overcharged individual who goes to university to seek activities that would embellish his resume and that would promote his character as one who is industrious, diligent and enterprising. This results in an inevitable dissatisfaction for his zeal that would never satiate itself, thanks to the way material prosperity and its excesses simulate happiness. The ‘borderlessness’ of the higher education in Europe is a dazzling feat that has been achieved by the Bologna Process. However, the idea of university as a venue for deep and serious immersion in a discipline has lost its dazzle. Prof. Brumlik reminded the audience not to just hold the German universities responsible for succumbing to the administrative measures of the Bologna Process, but to hold the German professors accountable for allowing such measures to permeate their grounds. The degree of resistance to the Bologna Process varies across Europe–– however, this autonomy has to be especially preserved by the students as well. If material prosperity entrances the student populace into thinking that it is a desirable good, little can be done to turn their attention to the very singular moment of their education which has immense potential to remain a life-long process, as opposed to a mere moment or phase.